Sinking Blackberry Attempts to Sell: Too Late? With few people buying Blackberry handsets, will anyone buy the company behind them? After years of struggling to reclaim its place in the ultra-competitive smartphone market, Blackberry announced yesterday that it would consider a sale. The beleaguered handset maker has formed a special committee that will explore value-generating alternatives, such as a joint-venture, a partnership, or a break up – but Blackberry may have already crossed the point of no return. “Unable to match Apple's iPhone for cool or the sheer range of devices from Samsung and others using Google's Android mobile system, [Blackberry’s] market share has collapsed from close to 50 percent in the US in 2009 to less than 3 percent, according to figures released last week by the analyst IDC,” stated The Guardian. That 3 percent market share places Blackberry in fourth place – behind Android, Apple, and the increasingly popular Windows Phone platform. As Blackberry’s market share evaporated, so did profitability. The business-oriented tech company went from raking in billions to bleeding millions. 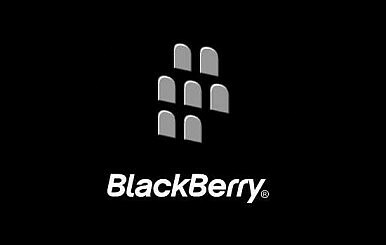 “BlackBerry, which changed its name from Research in Motion earlier this year in a different bid to restyle the ailing company, experienced a 93 percent drop in share price during the past five years. And the company fell deeply into the red in 2012, posting a $646 million loss, in contrast to earning $3.5 billion just two years earlier,” said Forbes. Blackberry also laid off 5000 employees in 2012. The most recent quarter results revealed losses of $84 million. Many are left wondering who would be willing to buy (or partner with) a company that is in such dire straits. Other smartphone markers already have their own buzz-worthy devices, so it is unlikely that a company like Samsung or HTC would risk buying Blackberry. Selling to an investment group is probably much more likely. Blackberry’s stock price rose following the announcement that the company could be seeking a buyer. It has risen 12 percent in two days, to $10.93 per share – but still remains down 7.9 percent from last year.